This design is an total accident, sometimes that produces the best unexpected result. 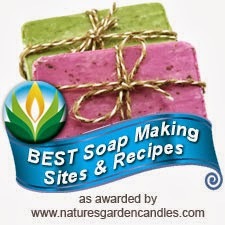 It all started with a rather "failed" soap project. I made a small batch of soap using a few new silicone molds I got as Christmas gifts. Unfortunately those molds didn't release well, left me with lots of deformed soap pieces. I usually roll scrap or left over soap pieces into balls and this was no exception. It just happened that the 3 colors I rolled together were white, green and blue. 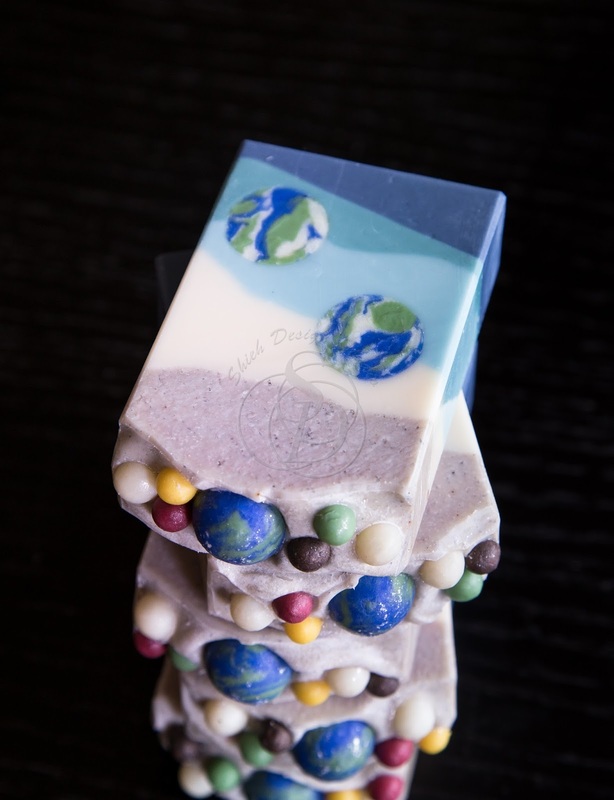 I only noticed how much those soap balls look like little planet Earth after rolling them! 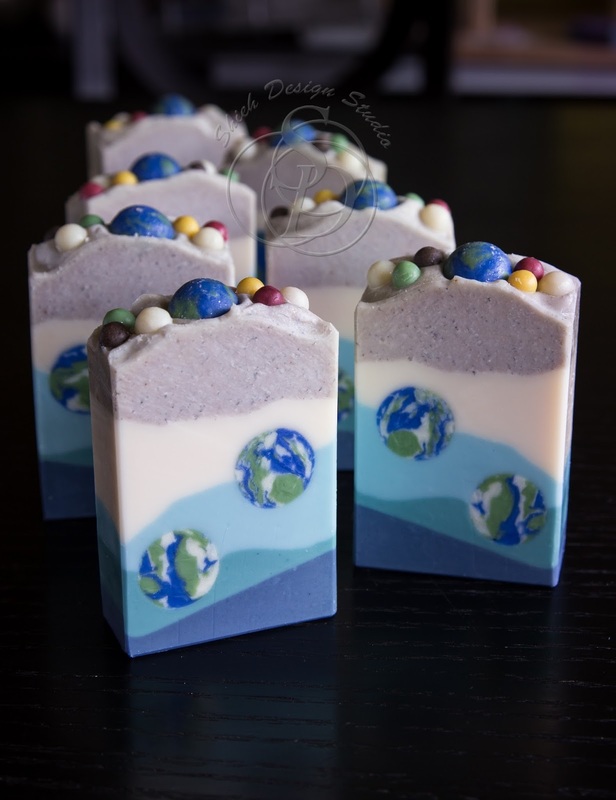 When life gives you lemon you make lemonade, so of course making Earth theme soap is the only right thing to do! 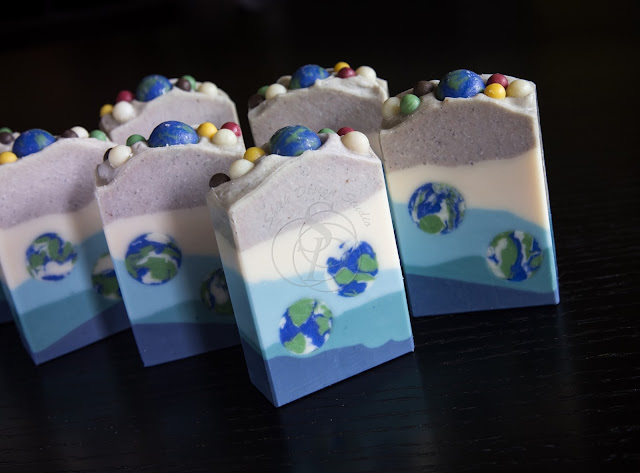 I name this Ocean Earth soap and it's scented with a water related fragrance. It smells like salty ocean front with wet beach sand, subtle note of sea kelp and hints of eucalyptus leaf and cedar wood. I layered it with different shades of blues and topped it off with a layer of soap with fine pumice sand. Soon after this soap was made we took a trip to Iceland hoping to catch a rare sighting of beautiful aurora.